Hotel Sunshine is in Kaohsiung’s Lingya District, a 10-minute train ride from Kaohsiung Airport. Featuring oriental furnishings, the hotel offers a cafe, free parking and free Wi-Fi in rooms. Soundproofed rooms at Sunshine are cozy and air conditioned. Each room comes with a minibar and a TV. A private bathroom with bathtub is attached in all rooms. Sunshine Hotel has a well-equipped business center with fax and photocopying serves. Meals and beverages are available at the Pellini Cafe. The hotel also features an Asian and Western restaurant. Hotel Sunshine is half a mile from the business and shopping district of Sanduo. It is a 5-minute walk from the Sanduo Commercial Zone Station. Grand Hi-Lai Hotel is centrally located in Kaohsiung at the crossroads of Cheng-Kung Road and Hsin-Tein Road. It features an outdoor pool, 13 restaurants and a department store. Each air-conditioned room is equipped with a flat-screen cable/satellite TV and a marble bathroom. A minibar and personal safe are provided. Guests can enjoy an extensive art collection at the Grand Hi-Lai Hotel. Business facilities, a spa and squash court is available. Local and international cuisines are served at the hotel's restaurants. Grand Hi Lai Hotel is a 20-minute drive from Kaohsiung International Airport. Featuring modern rooms with 42-inch flat-screen TVs, Crowne Plaza Kaohsiung houses a spa, outdoor and indoor swimming pools and 6 restaurants. It offers nightly music and lights performances at its feature man-made lake. Offering modern interiors and 24-hour room service, spacious rooms have over-sized windows, ample workspace and a comfortable armchair. Large bathrooms have a bathtub and hairdryer. Guests can relax in the sauna after active workouts at the fitness center and tennis courts. The property also houses a business center, tour desk and a game room. Dining highlights include fine Italian dining with scenic lake views at Casa Fontana and Crowne Palace Chinese Restaurant. There is also a steakhouse, cafe and Yanagi Japanese restaurant. Situated along Xuecheng Road, Crowne Plaza Kaohsiung E-DA World is about 11 miles from Kaohsiung International Airport. It is 9 miles from Zuoying Train Station. New Image Hotel Kaohsiung is located in Kaohsiung’s Chiangjin District, a 10-minute walk from Liuho and Nanhua Night Market. It has a cafe, free parking and rooms with free internet. Air-conditioned guest rooms are feature modern interiors and furnishings. Each room has a minibar, tea/coffee facilities and a TV with cable channels. Hotel New Image is located 6 miles from Kaohsiung International Airport. It is 1100 ft from Sanfong Temple and 2 miles from Ruyi Lake. Impression Café serves a daily breakfast. Chinese and Western dishes are also available. The hotel offers laundry and dry cleaning services. Other services include car rental and currency exchange. Sanduo Hotel is located in Kaohsiung, a 5-minute drive from Kaohsiung Train Station. The hotel offers a free pickup service from MRT R8 Station and free internet access. The hotel is a 15-minute drive from Kaohsiung International Airport. Tuntex Sky Tower, Sanduo Shopping District and Xing Zhong Night Market are all a short distance away. 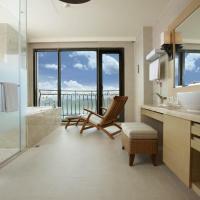 Rooms at Sanduo feature attached bathrooms and modern décor. Flat-screen cable TVs, minibars and toiletries are included. Guests can rent a car or arrange sightseeing trips at the tour desk. The hotel also provides a 24-hour front desk, laundry and concierge services. A daily Chinese or Western breakfast is served at Sanduo’s cafe. Freshly brewed coffee and cold drinks are available as well. Mirador Hotel is located at the center of downtown Kaoshiung, a 15-minute drive from Kaoshiung International Airport. It offers free Wi-Fi and a restaurant by the beautiful terrace. 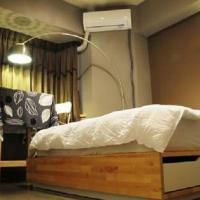 Air-conditioned guest rooms are equipped with a fridge, an electric teakettle and a flat-screen TV with cable channels. The private bathroom comes with toiletries and a hairdryer. Guests can enjoy views of the greenery at the hotel’s grounds, or have free tea and coffee at the lounge area. Hotel Mirador also provides free parking on site and baggage storage at the 24-hour front desk. Sunshine Garden Restaurant serves western breakfast daily. Mirador Hotel is a 5-minute walk from Central Park MRT (subway) Station and a short walk from Shinkuchuan Shopping Center. It is a 5-minute drive from Liu-Ho Night Market and the Lover River. Fullon Hotel Kaohsiung is located in downtown Wufu, a 7-minute walk from Yang Chengpu MRT (metro) Station. The stylish accommodations offer a fitness center, free parking and rooms with free internet. The elegantly designed rooms at Fullon are equipped with a flat-screen TV, an electric teakettle and an in-room safe. Each room has private bathroom with amenities and shower facilities. Fullon Kaohsiung offers a well-equipped business center with fax and photocopying services. To relax, guests can swim at the outdoor pool or simply unwind in the hotel’s sauna rooms. Happy Garden Restaurant serves a selection of Chinese cuisine. Drinks and refreshments can be enjoyed at the Premier Lounge. Fullon Hotel Kaohsiung is adjacent to the Terminal of Cultural Affairs, Urban Spotlight and the West Bay National Scenic Area. It is a 25-minute drive from Kaohsiung International Airport. Steps from Sanmin Market, Hotel Metropolitan offers classic rooms with free internet access in Kaohsiung’s commercial center. It provides free parking and free shuttle from Kaohsiung Train station. Featuring classic furnishings and neutral or pastel decor, Metropolitan’s air conditioned rooms offer the convenience of cable TV, a fridge and tea/coffee making amenities. Most rooms have a flat-screen TV and bathtub. The staff at the 24-hour front desk can provide baggage storage service. Traveling around Kaohsiung is easy with the free shuttle service to the City Council and Beautiful Island train stations. Local specialties are offered at Hotel Metropolitan’s restaurant. Metropolitan Hotel is within walking distance of Liouhe Tourist Night Market and 5 miles from Kaohsiung International Airport. Ambassador Kaohsiung is located by the Love River bank, a 10-minute drive from Kaohsiung Train Station. The luxurious 5-star hotel offers an outdoor pool, free parking and free in-room internet. Air-conditioning guest rooms feature spacious interiors with stylish designs. Each room is equipped with a minibar, an electric teakettle and a flat-screen TV with satellite channels. The Ambassador Hotel Kaohsiung has a business center which offers a quiet and comfortable space for reading. To unwind, guests can work out at the well-equipped gym or visit the hotel’s sauna room. Aloha Garden serves Chinese and Western dishes, as well as traditional Taiwan snacks. Cantonese and Szechuan food can be enjoyed at the Canton Court and Szechuan Court. Drinks can be found at Ru-I Lounge and Sky Lounge. The hotel overlooks the enchanting Shoushan and is close to Mingsheng Road Boulevard. It is within a 25-minute drive from Kaohsiung International Airport and Taiwan High Speed Rail. Featuring individually designed suites and fine dining, Design Inn is conveniently situated a 3-minute walk from Formosa Boulevard MRT Station. In-room comforts include 42-inch flat-screen TVs, DVD players and L’Occitane toiletries. Fitted with designer furnishings, spacious suites have comfortable living areas and ample workspace. For convenience, a safe, fridge and hairdryer are provided. Kung Shang Design Inn is a 5-minute walk from Liu He Night Market and a 25-minute drive from Kaohsiung International Airport. Airport transfer services are available. Guests can enjoy Western meals in the elegant environment of hte restaurant, which features premium wines. R&R Hotel is in the heart of Kaohsiung’s business and shopping district, a 10-minute walk from Central Park Train Station. It offers a cafe, free parking and free in-room internet. Air-conditioned guest rooms are equipped with a work desk, a minibar and a flat-screen TV with cable channels. The private bathroom comes with a walk-in shower. Hotel R&R has a well-equipped fitness center. Laundry services are offered. There is also a business center with fax and photocopying services on site. The hotel’s cafe serves a selection of local dishes and light refreshments. R&R is a 10-minute walk from Kaoshiung Harbor and the Urban Spotlight. It is a 10-minute drive from Kaohsiung Train station and a 20-minute drive from Kaohsiung International Airport. THE LEES Hotel offers stylish air-conditioned rooms with free internet along Kaohsiung Wufu Tourist Boulevard. Offering an indoor pool, it also has a relaxing sauna and hot tub. Warm lighting and elegant wooden furnishing give rooms a modern yet comfortable feel. Each comes with a 32-inch flat-screen TV, minibar and hairdryer. THE LEES Hotel is a 15-minute drive from Zuoying High Speed Rail Station and a 20-minute drive from Kaohsiung International Airport. Free parking is available. Guests can exercise at the gym or enjoy relaxing massage therapies. The hotel also provides a business centre and bicycle rentals. Global Village Buffet serves American cuisine, while Rivera Garden offers authentic Hong Kong Dim Sum. In-room dining is available with room service. Lees Boutique is located at Kaohsiung Wufu Tourist Boulevard, a 15-minute drive from Kaohsiung Zuoying High Speed Rail Station. It offers stylish accommodation with free parking and free internet. Air-conditioned guestrooms feature modern interiors and furnishings. Each room is equipped with a minibar, tea/coffee making facilities and a 32-inch flat-screen TV. The business centre offers free coffee and tea. Laundry services are available. Luggage storage can be found at the 24-hour front desk. The hotel serves a daily breakfast. Hotel Lees Boutique is a 20-minute drive from Kaohsiung International Airport. Hotel Kingdom is on Lover River, a 10-minute walk from Yanchengpu MRT Train Station. It offers modern accommodations with 3 dining options, free parking and rooms with free internet. Air-conditioned guest rooms are equipped with a minibar, tea/coffee making facilities and a TV with cable channels. The private bathroom comes with toiletries and a bathtub. Guests can work out at the well-equipped fitness center. The tour desk can assist with making travel arrangements. Laundry and ironing services are offered. Bolero Restaurant serves an international buffet. Chinese cuisine can be tasted at the China Palace. Drinks and light refreshments can be enjoyed at the Candle Light Bar. Kingdom Hotel is a 30-minute drive from Kaohsiung Internaitonal Airport and Zuoying Stop of Taiwan High Speed Rail. LiuHe Night Market is a 10-minute drive away. FORTÉ Orange Hotel - Liouhe is located a 15-minute walk from Liuhe Night Market and the Love River. It is offers modern accommodation with a restaurant and rooms with free internet. Air-conditioned guestrooms are fitted with a fridge, tea/coffee making facilities and a flat-screen TV with cable channels. The en suite bathroom comes with toiletries and a hairdryer. Laundry and ironing services are offered. Luggage storage can be found at the 24-hour front desk. There is also a business centre with fax and photocopying services. The hotel serves a variety of Western and Chinese dishes for breakfast daily. Liouhe Forte is a 10-minute walk from Formosa Boulevard MRT Train Station. The Xiaogang Airport is a 20-minute drive away. The Howard Plaza Hotel Kaohsiung provides modern accommodation a 5-minute walk from Formosa MRT Station and Hsinshing Night Market. It features an outdoor pool and spa bath. Free parking is provided. Rooms are fitted with an electric kettle, minibar and tea bags. A safety deposit box and cable TV channels are provided. En suite bathrooms come with toiletries and a bathtub. Howard Plaza Hotel is a 20-minute drive from Love River and Kaohsiung Zuoying High Speed Rail Station. Kaohsiung International Airport is a 30-minute drive away. Guests can exercise in the gym or head to the business centre to do work. Laundry and dry cleaning services are available. Luggage storage is provided at the 24-hour front desk. Pearl River serves traditional Cantonese specialities while Shanghainese cuisine can be enjoyed at Yangtse River restaurant. Howard Kitchen offers a variety of breads, cakes and desserts. Kaohsiung Chateau de Chine Hotel offers modern rooms with free Wi-Fi and a flat-screen cable TV. A 5-minute walk from Jixian Yanchengpu MRT Station and Ai He (Love River), the hotel features a fitness centre and 2 restaurants. Fully-carpeted, the air conditioned rooms include a safe and coffee/tea maker. Private bathrooms come with a bathtub, shower and hairdryer. Chateau de Chine has the convenience of a 24-hour front desk. Other facilities include a business centre and luggage storage. Concierge services and free private parking are available. Enjoy Japanese dishes at Pin Japanese Restaurant. Hongkong delicacies such as Dim Sum are served at the Harbour Cantonese Restaurant. Kaohsiung Chateau de Chine Hotel is a 10-minute drive from the Liuhe Night Market and Kaohsiung Railway Station. Kaohsiung International Airport is a 30-minute drive away. This boutique hotel is a 5-minute walk from Liuhe Night Market and City Council MRT Train Station. Offering contemporary rooms with cable TV and free internet access, it also provides a free self-service laundry facility. Video game console and blackboard are provided at the lounge area. Legend Hotel Kaohsiung is a 10-minute walk from Formosa Boulevard MRT Train Station and a 5-minute drive from Love River. Kaohsiung Train Station is a 10-minute drive away. Fitted with wooden flooring, the stylish air-conditioned rooms are decorated with painted wall art and include free instant noodles and drink. They are equipped with a flat-screen TV and tea/coffee making facilities. Private bathrooms come with a rainshower over a bathtub. Legend Hotel’s restaurant serves a daily buffet breakfast. Guests can use the business centre, or make travel arrangements at the tour desk. The 24-hour front desk can assist with luggage storage and free bicycle rentals. Free on-site parking is available. Bluefin Tuna Hotel offers clean and modern rooms with free internet access. Guests enjoy a buffet breakfast at the hotel, which is just a 5-minute walk from Liuhe Night Market and Juifeng Night Market. Free private parking is available nearby. Kaohsiung Main Station is an 8-minute walk from Bluefin Tuna Hotel. Kaohsiung Airport is a 15-minute drive away. It takes 10-minutes by car to the Zuoying High Speed Rail Station. A variety of rooms can be found at the Bluefin Tuna. Each room features a flat-screen TV with satellite and cable channels. A minibar and electric kettle are provided. Facilities at the hotel include a business centre and gift shop selling local souvenirs. It also offers currency exchange and ticket services. Located in Yancheng District, Big Eye Tuna Hotel is a 2-minute walk from Kaohsiung’s MRT Train Station. This non-smoking hotel features free internet, free parking and air-conditioned rooms with a flat-screen cable TV. Tuna Big Eye Hotel is a 5-minute walk from the Love River and Citizens’ Square Musical Fountain. Kaohsiung Railway Station and Kaohsiung Airport are a 20-minute drive away. Elegant rooms come with modern interiors, neutral wall colours and wooden flooring. Each well-appointed room is fitted with a minibar and bathroom with a hot shower. The restaurant serves a buffet spread of local dishes. Light snacks and refreshing beverages can be enjoyed at the Coffee Lounge. Guests can make use of the facilities at the business centre. For convenience, car rental and currency exchange services are also provided. The Icon Hotel is a 5-minute drive from the Central Park MRT Station and a 5-minute walk from the Xinjuejiang Shopping District. It offers free parking on site and rooms with free internet access. Air-conditioned guest rooms are fitted with a work desk, a minibar and a flat-screen TV. The en suite bathroom comes with toiletries and a hairdryer. The staff at the tour desk can assist with making travel arrangements. Laundry services are offered. Icon Hotel provides complimentary Wi-Fi in public areas and all rooms. Hotel Icon is a 5-minute drive from Kaohsiung Railway Station and a 12-minute drive from Kaohsiung International Airport. It is a 10-minute walk from Liuhe Night Market. A 2-minute walk from Formosa Boulevard MRT Station, BravoRelax Hostel offers air-conditioned dormitory rooms with bunk beds. Free Wi-Fi, a computer corner and a shared kitchenette are available for guests' usage. Mixed or female-only dormitory rooms come with a private locker. Bathrooms are shared, and are equipped with a hairdryer and slippers. BravoRelax Hostel is a 5-minute walk from Liuhe Night Market and Nanhua Night Market. It is a 30-minute drive from Kaohsiung High Speed Rail Station and Kaohsiung Airport. Guests can use the hostel's washing machine to do their laundry. A tour desk and luggage storage are also available. 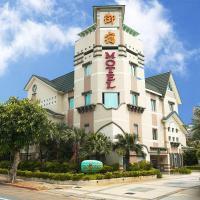 Nice Hotel is a 3-minute walk from Kaohsiung MRT Station and the Kaohsiung Railway Station. It offers a breakfast buffet, free parking on site and rooms with free wired internet access. Air-conditioned guest rooms are fitted with a work desk, tea/coffee making facilities and a flat-screen TV with cable channels. The en suite bathroom comes with toiletries and a hairdryer. The staff at the tour desk can assist with making travel arrangements. Laundry services are offered. Luggage storage is available at the 24-hour front desk. Hotel Nice is a 10-minute walk from Liuhe Night Market. Kaohsiung Airport is a 20-minute drive away. A 2-minute walk from Sanduo Business Area MRT Station, Travelhome Service Apartment is located in Kaohsiung. Providing free Wi-Fi, all rooms also enjoy either mountain or sea views. It is a 5-minute drive from Liuhe Night Market. Spacious air-conditioned rooms feature a living area with a sofa and flat-screen TV. Select rooms offer a kitchenette with a microwave. En suite bathrooms are equipped with a shower and toiletries. Travelhome Service Apartment is within a 10-minute drive from Kaohsiung Rail Station and Kaohsiung International Airport. Xinjuejiang Business Area is a 10-minute walk away. This non-smoking hotel provides luggage storage at its front desk. The Single Inn features a sauna room and Japanese-style hot tub for separate genders. Just a 3-minute walk from the Kaohsiung Main Train Station, this modern inn provides free Wi-Fi access. Featuring hardwood floors, the air-conditioned guest rooms are fitted with a work desk, a personal safe and a flat-screen TV with cable channels. 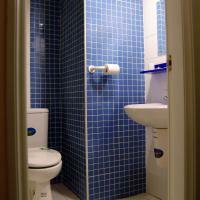 Toilet and bathroom facilities are shared, and female guests have their own private shared bathroom and hot tub area. Laundry and dry cleaning services are provided . Guests can enjoy a massage or soak in the hot tub. There is also a common area with a 24-hour Chinese restaurant. 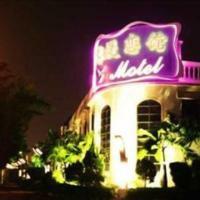 The Single Inn is a 5-minute walk from Liuhe Night Market and a 20-minute drive from Kaohsiung Airport. The classy and stylish Love River Boutique Hotel is located in Kaohsiung's Yancheng District, a 5-minute walk from Yan Cheng Pu Railway Station. Free Wi-Fi is available in the lobby. A daily buffet breakfast is served at the on-site restaurant. Featuring warm lighting and modern furnishings, the air-conditioned rooms are equipped with a 37-inch flat-screen TV, a personal safe and tea/coffee making facilities. En suite bathrooms come with a bathtub and shower. Love River Boutique Hotel is a 10-minute walk from Pier - 2 Art Center and a 15-minute walk from the famous Love River. Kaohsiung Airport is a 30-minute taxi ride away. Other nearby attractions include Bamboo Village Fisherman, the Film Archive and True Love Harbour. Guests can rent bicycles or arrange day trips at the tour desk. There is also a business centre and luggage storage. All public areas and rooms are non-smoking. Set lunch or dinner can be arranged upon request. Le Moon Lake Hotel propose une connexion Wi-Fi gratuite et un service d'étage disponible 24h/24. Il se trouve à 1 minute à pied de la station de MRT Houyi et à seulement 200 mètres de la Rivière de l'Amour, où vous pourrez emprunter des vélos gratuitement. L'hôtel se situe à 800 mètres du musée de la culture Kaohsiung Hakka et à 2 km du marché nocturne de Liouho et de la gare de Kaohsiung. L'aéroport international de Kaohsiung se trouve à environ 10 km. Dotées de parquet, les élégantes chambres climatisées possèdent une télévision par câble, un plateau/bouilloire et un réfrigérateur. Leur salle de bains privative est pourvue d'une douche, d'articles de toilette gratuits et d'un sèche-cheveux. Le restaurant du Moon Lake sert un petit-déjeuner simple tous les jours. La réception ouverte 24h/24 propose des services de bagagerie, de billetterie et d'organisation d'excursions touristiques. The luxurious 85 Sky Tower Hotel is a convenient 10-minute drive from Kaohsiung Train Station. The 5-star hotel boasts an indoor swimming pool, a well-appointed spa and 8 dining options. Elegant rooms feature modern interiors and large bay windows that provide natural light. All rooms are furnished with a seating area, TV and minibar. Shower facilities, toiletries and bathrobes are in the bathroom. Relax in the sauna or indulge in a relaxing body massage. Guests can use the facilities at the business centre, and make ticketing arrangements at the tour desk. Formosa Restaurant serves traditional Taiwanese dishes, while an international buffet spread is offered at The Brasserie. Other dining options include a Teppanyaki restaurant and fresh grilled seafood dishes at 75 Grill. 85 Sky Tower Hotel is a 25-minute drive from Kaohsiung International Airport and the Taiwan High Speed Rail. Free parking is provided on site. Centrally located in Kaohsiung City's Sinsing District, Ever Luck Hotel is a short 3-minute walk from Formosa Boulevard MRT Station. Surrounded by local restaurants, it provides free Wi-Fi and a 24-hour front desk. Liu He Night Market is just 5 minutes' walk away. Fitted with warm lighting, the air-conditioned rooms are equipped with a flat-screen TV, minibar and personal safe. En suite bathrooms come with a shower. Some rooms include bathrobes. Ever Luck Hotel is a 10-minute walk from Kaohsiung Train Station. Kaohsiung International Airport is a 25-minute drive away. Guests can arrange day trips at the tour desk, or store luggage at the reception. Fax and photocopying facilities are also available. Parking is free at a location nearby. The on-site restaurant serves a selection of Chinese and Western dishes. 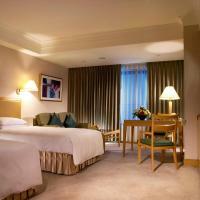 The 4-star King's Town Hotel in Kaohsiung offers air-conditioned rooms with free wired internet. It is a short 8-minute walk from Liuhe Night Market, Juifeng Night Market and Kaohsiung Main Station. Free Wi-Fi is available in public areas, while parking is free. The well-designed guestrooms are equipped with a flat-screen TV and a minibar. En suite bathrooms come with a shower and hairdryer. King's Town Hotel is a 10-minute drive from Zuoying High Speed Rail Station. Kaohsiung Airport is a 15-minute drive away. Day trips and airport transfers can be arranged at the tour desk, at an extra charge. There is also a business centre and laundry services. A daily buffet breakfast is offered at the hotel's restaurant. Situated on Kaohsiung’s Xinguang Road, this boutique serviced apartment is just a 5-minute walk from local eateries. It offers rooms with free Wi-Fi access. The colourfully painted rooms at Ejing Service Apartment are air-conditioned and feature a minibar and a flat-screen TV with satellite channels. The en suite bathroom comes with shower facilities, toiletries and a hairdryer. Staff at Ejing Service Apartment can assist with luggage storage, laundry or dry cleaning services. Bicycle rentals are available and travel arrangements can be made at the tour desk. The serviced apartment is a 5-minute walk to Sando Business Circle Station (Exit 2). Kaohsiung International Airport is a 30-minute drive away. The 4-star Royal Group Hotel Chang Chien Branch is a short 5-minute walk from Kaohsiung Main Station, and offers modern air-conditioned rooms with free wired internet. Free Wi-Fi is available in the public areas. A daily buffet breakfast is offered at the hotel's restaurant. All guestrooms are equipped with a flat-screen TV and minibar. En suite bathrooms come with a shower and a hairdryer. Royal Group Hotel Chang Chien Branch is a 5-minute walk from Liuhe Night Market and Ruifeng Night Market, where guests can sample local street food. Kaohsiung Airport is a 15-minute drive away. Guests can print documents at the business centre, or arrange day trips at the tour desk. The hotel also provides luggage storage and free on-site parking. Royal Group Hotel Wu Fu Branch offers 4-star accommodation in Kaohsiung, just a 10-minute walk from Central Park MRT Train Station. The spacious air-conditioned suites come with a relaxing spa bathtub, as well as free wired internet. Suites all come with a separate seating area and a flat-screen TV. A minibar and electric kettle are included. Rooms also have a hairdryer and free toiletries. Royal Group Hotel Wu Fu Branch is located on Wufu 3rd Road, a 10-minute drive from Liu He Night Market. It is a 30-minute drive from Kaohsiung International Airport and Zuoying High Speed Rail Station. Guests can arrange day trips at the tour desk, or surf internet at the business centre. The hotel also provides free parking. Located along Liaoning Street, the 4-star Royal Group Hotel Ho Yi Branch is a 10-minute walk from Kaohsiung Train Station. 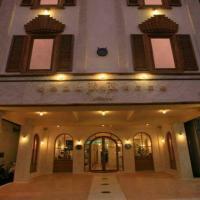 It features a restaurant and cosy air-conditioned rooms with free internet. Ho Yi Royal Group Hotel is a 6-minute drive from the famous Liu He Night Market. Kaohsiung International Airport and Zuoying High Speed Rail Station are a 30-minute drive away. Tastefully decorated, rooms come with modern décor and windows that provide natural light. Each beautiful room is fitted with a flat-screen TV, minibar and an en suite bathroom. Breakfast is served at the hotel’s restaurant. Guests can sample a fine selection of local dishes and beverages. The hotel has a business centre where staff can assist with photocopying and fax services. Bicycle rental services are provided for those who wish to explore the area. Royal Group Hotel Chun Shan Branch is located in Kaohsiung’s Lingya District, a 10-minute train ride from Kaohsiung Airport. The hotel offers a restaurant, free parking and free internet access in rooms. Featuring a seating area, the air-conditioned guest rooms are also equipped with a minibar and a flat-screen TV with cable channels. The private bathroom comes with free toiletries and a bathtub. Guests can make use of the fax and photocopy facilities in the business centre. The tour desk can assist with guests’ travel arrangements. Chun Shan Branch Royal Group Hotel is a 30-minute drive from Kaohsiung Internaitonal Airport and Zuoying Stop. LiuHe Night Market is a 6-minute drive away. Situated in Kaohsiung, this motel is conveniently located just a 5-minute walk from Wukuaili MRT Station. It offers modern air-conditioned accommodation with a spa bathtub and free Wi-Fi access. Fitted with wooden flooring, the spacious accommodation at Royal Group Motel feature a flat-screen TV with satellite channels and a minibar. The en suite bathroom comes with a hairdryer. Guests can request for a massage, or enjoy the complimentary private parking spaces on the motel’s premises. Royal Group Motel Chien Kuo Branch is a 5-minute drive from Liuhe Night Market and Jiufeng Night Market, where local street food can be sampled. Kaohsiung Airport is a 15-minute drive away. The 3-star Royal Group Motel Wu Ying Branch is a short 5-minute walk from Jijiguan MRT Station, and offers modern air-conditioned rooms with free internet access. It also provides massage services. The suites are spacious and fully air conditioned. They are equipped with a flat-screen TV and a minibar. The en suite bathroom comes with a shower, free toiletries and spa bathtub. Wu Yin Branch Royal Group Motel is a 20-minute drive from Kaohsiung Train Station and Liuhe Night Market and Jiufeng Night Market where guests can sample local street food. Kaohsiung Airport is a 20-minute drive away. Located in Kaohsiung, Midi Motel Nan Tse offers air-conditioned rooms with free Wi-Fi just a 20-minute drive from Kaohsiung Train Station. Non-smoking rooms are equipped with a flat-screen cable TV and en suite bathroom with spa bath. A 20-minute drive also leads to Kaohsiung Airport, as well as liuhe Night Market and Jiufeng Night Market where local street food can be sampled. Midi Motel Zuoying offers modern accommodation with free Wi-Fi and parking a 30-minute drive from Kaohsiung Train Station amd Kaohsiung Airport. Air-conditioned rooms are equipped with a cable TV, minibar and en suite bathroom with spa bath. Guests can make arrangements for a massage. It is a 30-minute drive to the Liuhe Night Market and Jiufeng Night Market where guests can sample local street food. Located on Chongyi Road in Kaohsiung’s Zuoying District, Ritz Motel features modern, spacious suites with free wired internet access. Guests can request for a massage and park for free. The spacious, air-conditioned suites feature wooden and carpeted flooring. Each is equipped with a flat-screen satellite TV and minibar. The en-suite bathroom comes with a spa bathtub, hairdryer and free toiletries. Ritz Motel is a 30-minute drive from Kaohsiung Train Station, Liuhe Night Market and Jiufeng Night Market, where guests can sample local street food. Kaohsiung Airport is also a 30-minute drive away. Situated a 30-minute drive from Kaohsiung Airport, this boutique property is an 8-minute walk from the Aozidi MRT Station. It offers stylish air-conditioned rooms with free wired internet access. Fitted with wooden flooring, the fashionable guest accommodation is spacious and come with a flat-screen TV and a minibar. The en suite bathrooms offer shower facilities and a spa bathtub. Royal Group Motel Ming Chen Branch is just 3 stations via train from Kaohsiung MRT Station. Guests interested to try the variety of street food can take a 15-minute drive to the Liuhe, as well as Jiufeng night markets. Royal Group Motel Ming Chen provides a sauna and a massage service. Those who drive can enjoy the complimentary parking spaces available. A 10-minute walk from Nan Tse Train Station, this boutique property offers spacious air-conditioned suites with complimentary wired internet access. It also features a sauna, a massage service and free parking. Fitted with wooden flooring, the fashionable suite feature a flat-screen TV, an electric kettle and a minibar. The attached bathroom comes with shower facilities, a spa bathtub and a hairdryer. Royal Group Motel Nan Tse Branch is a 20-minute train ride to Kaohsiung Train Station, where Liuhe and Jiufeng night markets reside. Kaohsiung Airport is a 45-minute drive away. 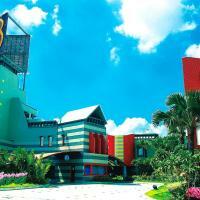 This design motel is just a 5-minute walk from the Arena MRT Station. It offers spacious air-conditioned suites with a spa bath and free wired internet access. Fitted with wooden flooring, the trendy suites feature a flat-screen TV, an electric kettle and a minibar. The private bathroom comes with a hairdryer. The motel houses a sauna and provides a massage service. Complimentary private parking spaces are also available. Situated on Wenxin Road, Royal Group Motel Wen Shin Branch is just 4 train stations to Kaohsiung MRT Station. It is a 15-minute drive from the Liuhe and Jiufeng night markets, and a 30-minute drive from the Kaohsiung Airport. Just a 5-mminute alk from Aozidi MRT Station, Royal Group Motel Buo Ai Branch offers cosy air-conditioned suites with a sofa seating area and flat-screen TV. Free internet is provided. 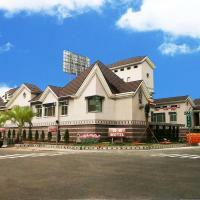 Buo Ai Branch Royal Group Motel is a 15-minute drive from the famous Liuhe and Jiufeng night markets. Kaohsiung MRT station is 3 MRT stations away. Fitted with modern interiors, the elegant rooms come with stylish décor and intimate lighting. Included in all units are a minibar, kettle and an en suite bathroom with a bathtub. To relax, guests can indulge in a relaxing body massage. Free parking is provided on site. A 3-minute walk from Kaohsiung Main Station, Hwa Hong Hotel offers modern rooms with free Wi-Fi and a 24-hour reception. Free parking is available. Each air-conditioned room features a TV, electric kettle and refrigerator. A private bathroom includes a shower and free toiletries. Hwa Hong Hotel is a 10-minute walk to Liuhe Night Market and Ruifeng Night Market. Zuoying High Speed Rail Station is a 15-minute drive away while it takes 20-minutes by car to reach Kaohsiung Airport. Located in Kaohsiung, 85 Traveler Holiday is a convenient 5-minute walk from a variety of local eateries. It features free Wi-Fi and cosy air-conditioned rooms with a flat-screen TV. Tastefully decorated with stylish interiors and spot lighting, the elegant rooms are well equipped with a minibar, sofa seating area and an attached bathroom. For convenience, the property provides laundry and dry cleaning services. Staff at the reception can assist with luggage storage. Traveler 85 Holiday is a 25-minute drive from Kaohsiung International Airport and Kaohsiung High Speed Rail Station. Unique sleeping tents with a personal reading light and air conditioning are featured at Pon Pon Woo on Kaohsiung's Chunghua 4th Road. A 2-minute walk from Sanduo Shangguan MRT Station, the guesthouse has self-service laundry facilities and free Wi-Fi. All tents come with futon bedding and an electric socket. Bathroom facilities are shared, and are equipped with a shower. Guests can watch TV and make new friends at the communal area. Pon Pon Woo is a 5-minute walk from Ziqiang Night Market. It is a 30-minute drive from Kaohsiung International Airport. Huahou Hotel is located in Kaohsiung's Yancheng District, a 5-minute walk from Yan Cheng Pu Railway Station. 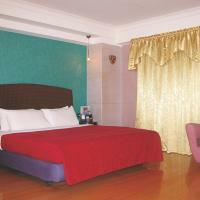 It provides cosy rooms with modern amenities and free Wi-Fi. It has a tour desk and 2 restaurants. Hotel Huahou is a 10-minute walk from Pier - 2 Art Centre and the famous Love River. Kaohsiung Airport is a 30-minute taxi ride away. Other nearby attractions include Bamboo Village Fisherman, the Film Archive and True Love Harbour, all located within a 10-minute walk of the hotel. Featuring warm lighting and modern furnishings, the air-conditioned rooms are all equipped with a TV, a minibar and tea/coffee making facilities. En suite bathrooms come with a bathtub and shower facilities. A daily buffet breakfast is served at the on-site restaurant. Both Chinese and Western food are available. A 5-minute walk from Xingguang Riverside Park and Love River, Cozy Planet Hostel offers modern dormitory and private rooms with free Wi-Fi. Free bicycle rentals, free laundry services and free tea and coffee are available. A public computer is also provided for guests' usage. All rooms come with air conditioning and shared bathroom facilities. Some rooms overlook the city from soundproof windows. Personal lockers and towels are provided for free. Cozy Planet Hostel is located in Kaohsiung's Qianjin District, an 8-minute walk from Central Park MRT Station. By train, it is 2 stops from Kaohsiung Main Station. Guests can relax at the lounge area with its 42-inch flat-screen TV and book corner. There is also a shared kitchen with an oven and microwave. Luggage storage and ticketing services can be arranged at the front desk. ided. Located in Yancheng District in Kaohsiung City, Chun Teng Hotel offers spacious air-conditioned rooms with free Wi-Fi and free parking. It has a restaurant which serves Chinese and Western dishes. Enjoying a prime location, the hotel is only a 5-minute walk from Yanchengpu MRT Station and Kaohsiung History Museum. It takes 30 minutes by car from Hotel Chun Teng to Kaohsiung Airport. Featuring wooden flooring and fine beddings, the modern guest rooms are also equipped with a flat-screen TV and a minibar. En suite bathrooms come with a bathtub and shower facilities. The hotel has a business centre and a tour desk for guests’ convenience. They also have a 24-hour front desk.